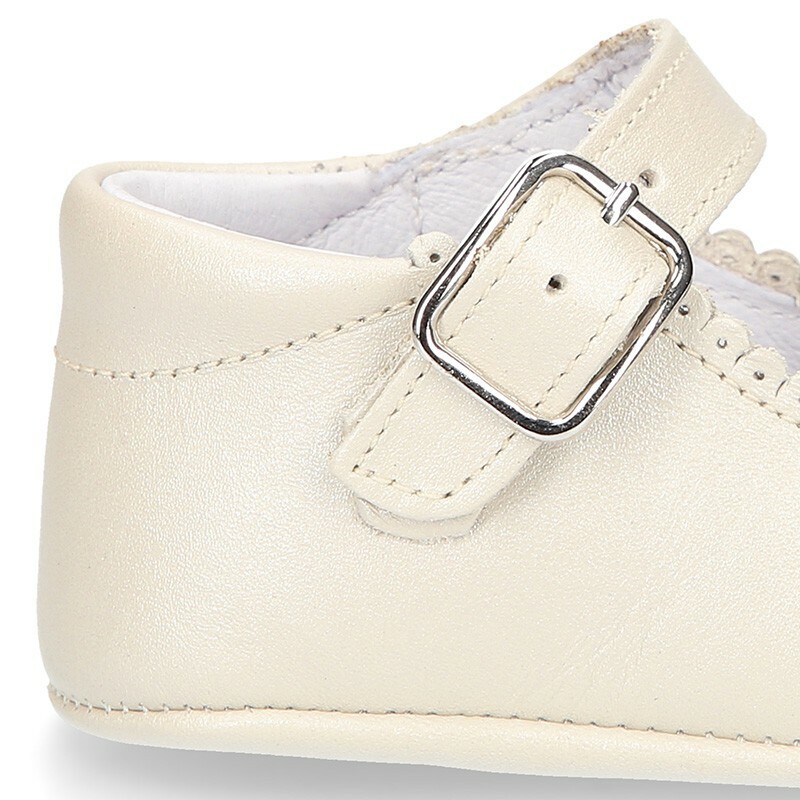 > Babies>Mary Jane>Little Mary Janes for baby in nappa leather with pearl effect. Little Mary Janes for baby in nappa leather with pearl effect. 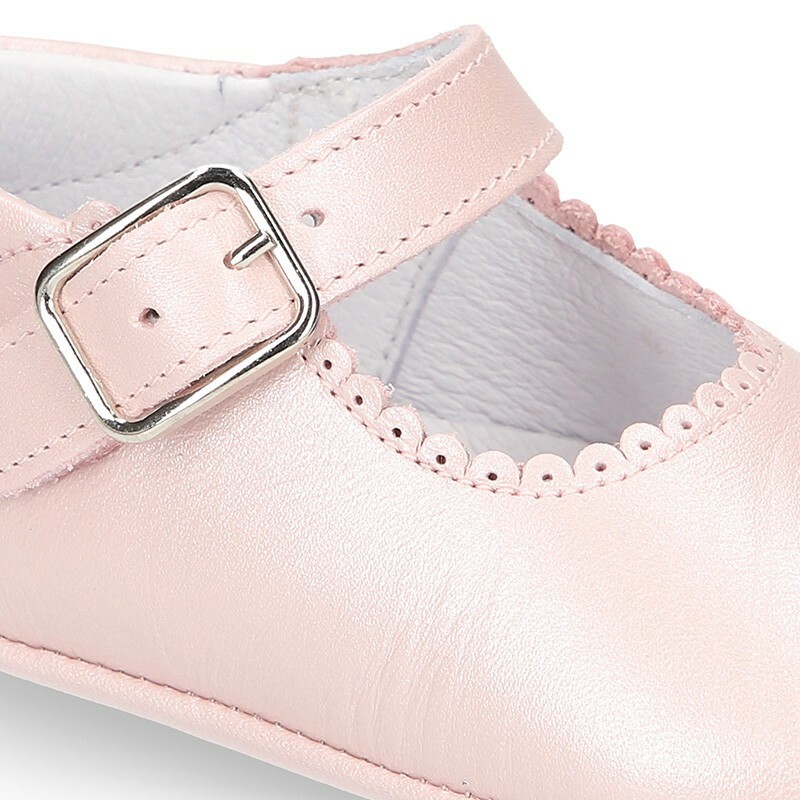 Little Mary Jane shoes for babies with buckle fastening in nappa leather with pearl effect. More info about Little Mary Janes for baby in nappa leather with pearl effect. 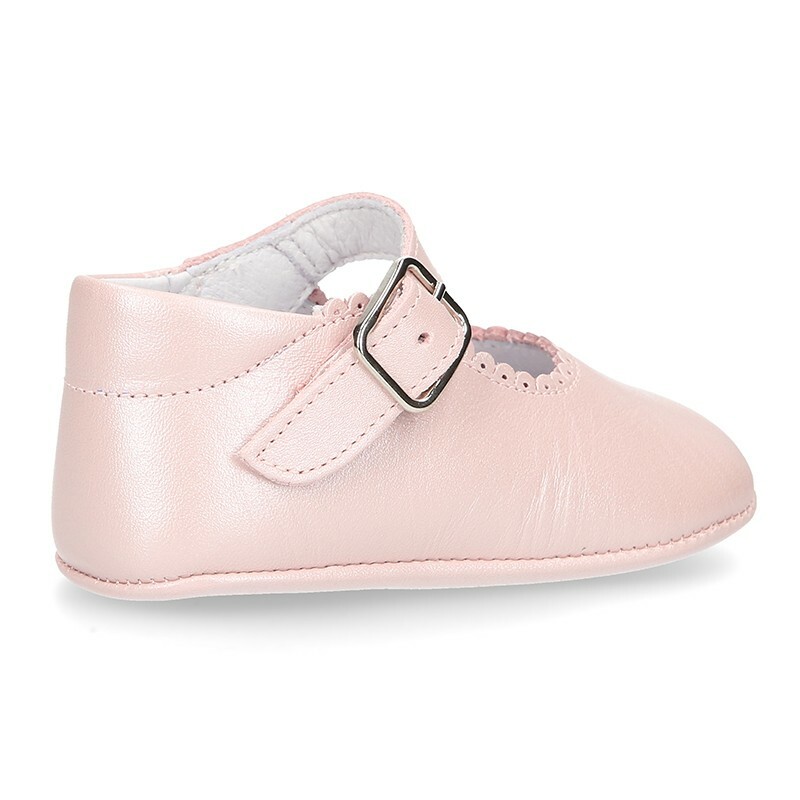 Little Mary Janes shoes for babies and pre-walkers with buckle fastening in nappa leather with pearl effect finish. 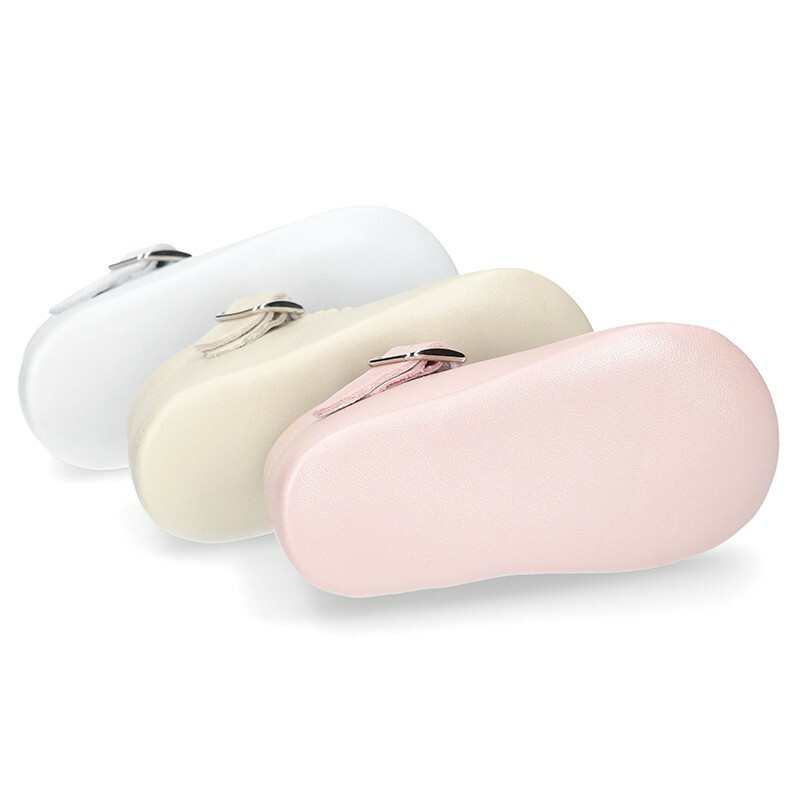 Made up of 100% High quality Natural nappa leather with pearl effect finish. Very classy for all occasions or for to combine with all their day a day looks this spring-summer. It´s a new model very elegant and updated. Very fluffy and soft. Pearl effect leather it is a new effect very elegant and classy. Fully lined in leather and leather padded footbed as well, for a good perspiration of their feet. Very soft and lightness for their delicate feet. Therefore its manufacture so handcrafted. Soft nappa leather soles. Data sheet about Little Mary Janes for baby in nappa leather with pearl effect. 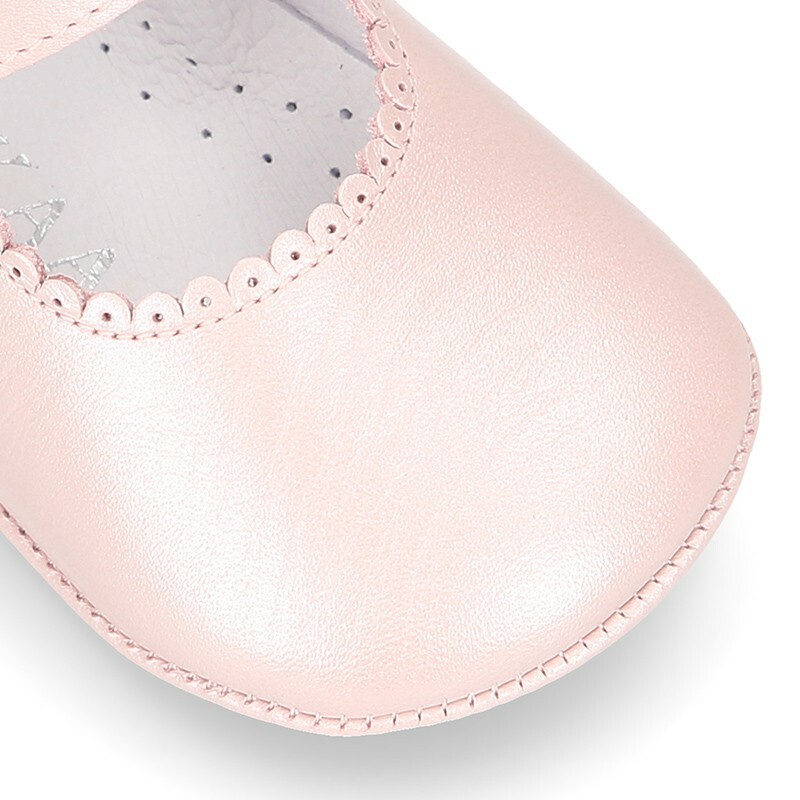 Medidas sobre Little Mary Janes for baby in nappa leather with pearl effect.